Experience the ultimate peaceful living at Sandlewood, a Whistler inspired architecture by Polygon. 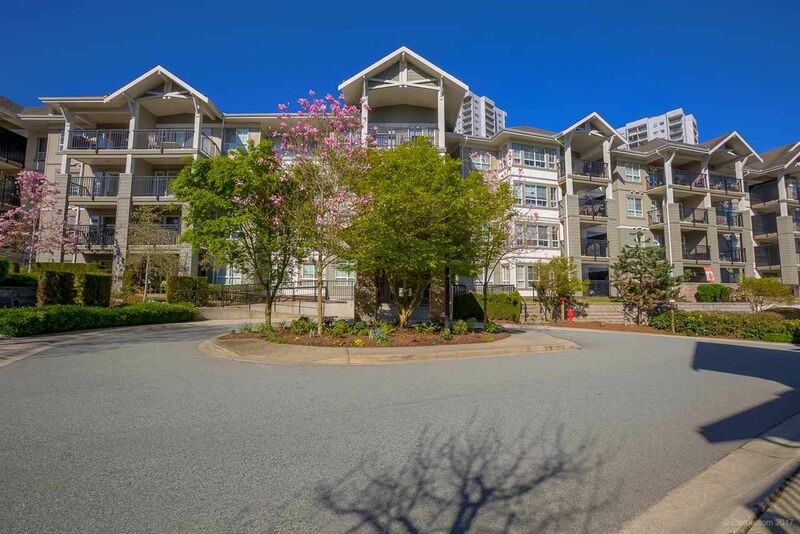 This 2 bedroom, 2 bathroom condo in North Burnaby merges tranquility and convenience with its highly sought after neighborhood. This unit features a fireplace, laminate flooring, rich cabinetry, and full stainless steel appliances. Pamper yourself in the soaker-tub located in the master ensuit bathroom. In warmer days, enjoy the sun soaked balconies, the terrace pool and play areas in the well-maintained community area. Sandlewood offers resort style amenities with a clubhouse equipped with a kitchen, fitness room, yoga/dance studio and an indoor putting green. This home is conveniently located close to Lougheed Town Center, Public Transit, Burnaby Library, Vancouver Golf Club & Schools.